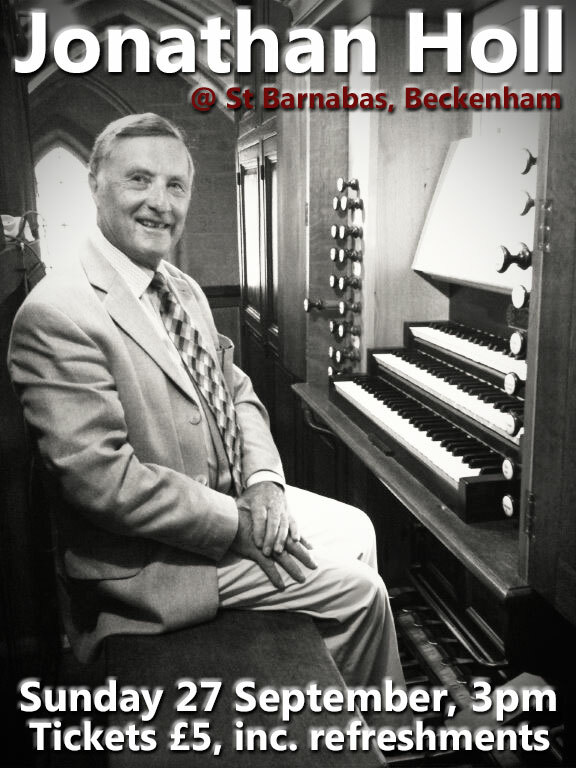 We welcome Jonathan Holl to St Barnabas for an Organ Recital on Sunday 27 September at 3 pm. Tickets are £5 on the door, including refreshments. 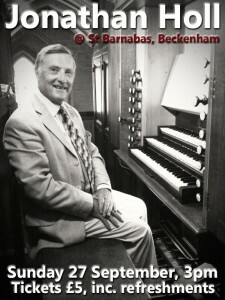 Jonathan’s programme for the recital can be seen here.